B radford F.K. Bliss has been with the firm since 1982 and is a partner practicing primarily in civil litigation. He has litigated cases in both State and Federal courts in a variety of areas including insurance coverage, insurance subrogation, professional liability, products liability, personal injury and real estate, representing both plaintiffs and defendants. Mr. Bliss has also represented insurance carriers and other clients in appeals before the Hawaii Supreme Court and the Intermediate Court of Appeals. Born in St. Louis, Missouri, Mr. Bliss has been a Hawaii resident since 1969. He holds a Bachelor of Business Administration degree in accounting from the University of Hawaii and obtained his law degree from the William S. Richardson School of Law, University of Hawaii, in 1982. In law school Mr. Bliss was a member of the University of Hawaii Law Review and the Notes Editor for the law review in 1981-82. 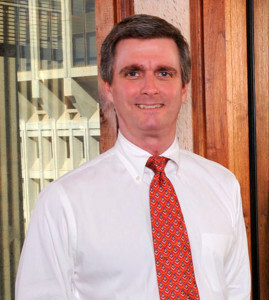 He is a member of the Hawaii State and American Bar Associations. Outside the office Mr. Bliss enjoys traveling and outdoor activities including hiking and windsurfing.